A suicide bomber struck a voter registration centre in the Afghan capital on Sunday, killing at least 31 people in an attack claimed by the Islamic State group. Public Health Ministry spokesman Wahid Majro said another 54 people were wounded in Sunday's attack, updating an earlier toll. Gen. Daud Amin, the Kabul police chief, said the suicide bomber targeted civilians who had gathered to receive national identification cards. The large explosion echoed across the city, shattering windows miles away from the attack site and damaging several nearby vehicles. Police blocked all roads to the blast site, with only ambulances allowed in. Local TV stations broadcast live footage of hundreds of distraught people gathered at nearby hospitals seeking word about loved ones. The Islamic State group has claimed responsibility in a statement carried by its Aamaq news agency, saying it had targeted Shiite "apostates." Afghanistan will hold parliamentary elections in October. Last week, three police officers responsible for guarding voter registration centers in two Afghan provinces were killed by militants, according to authorities. 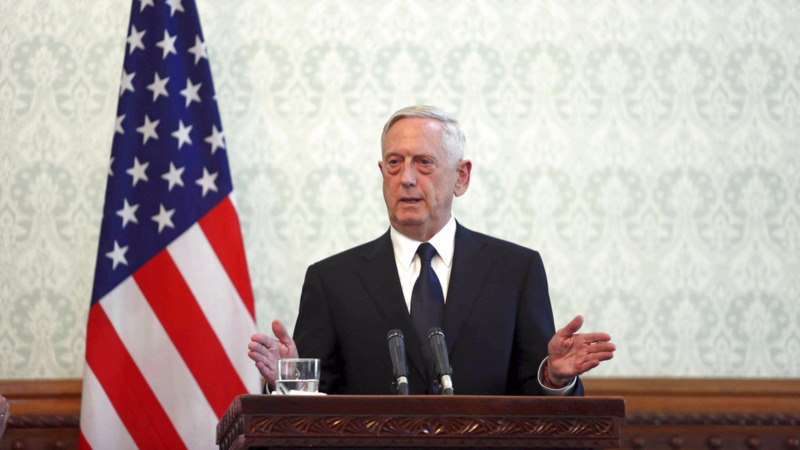 Afghan security forces have struggled to prevent attacks by the Islamic State affiliate as well as the more firmly established Taliban since the U.S. and NATO concluded their combat mission at the end of 2014. 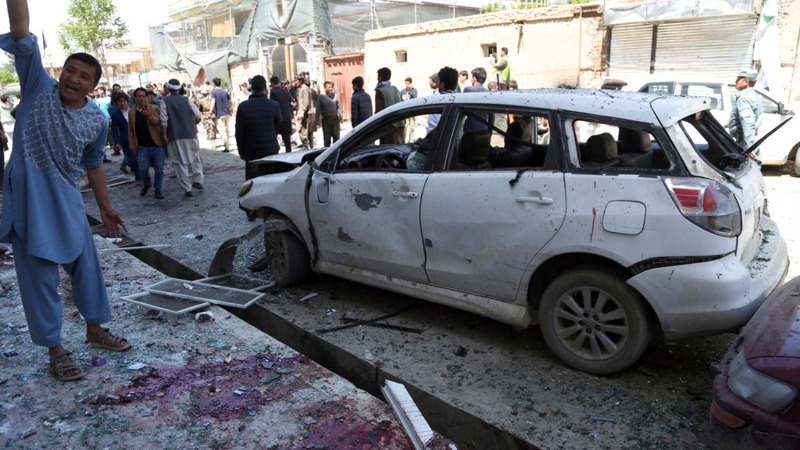 Both groups regularly launch attacks, with the Taliban usually targeting the government and security forces, and IS targeting the country's Shiite minority. Both groups want to establish a harsh form of Islamic rule in Afghanistan, and are opposed to democratic elections. 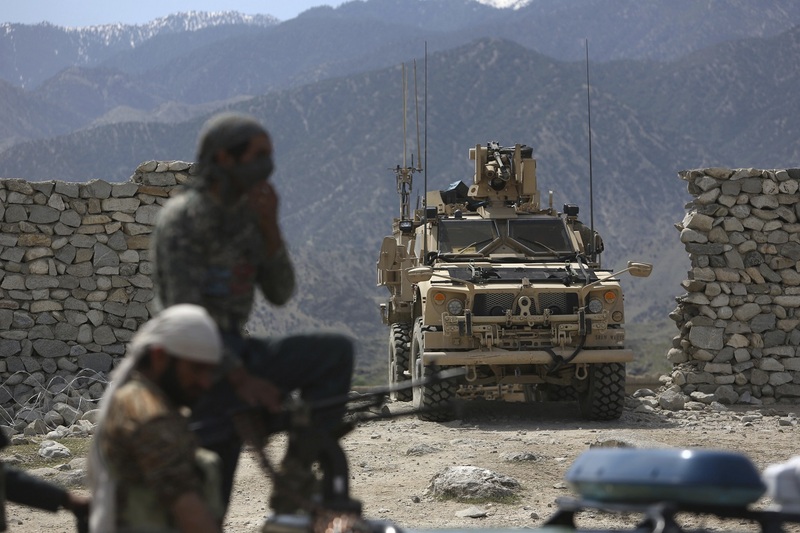 Elsewhere in Afghanistan, at least five people were killed when their vehicle struck a roadside bomb in the northern Baghlan province. 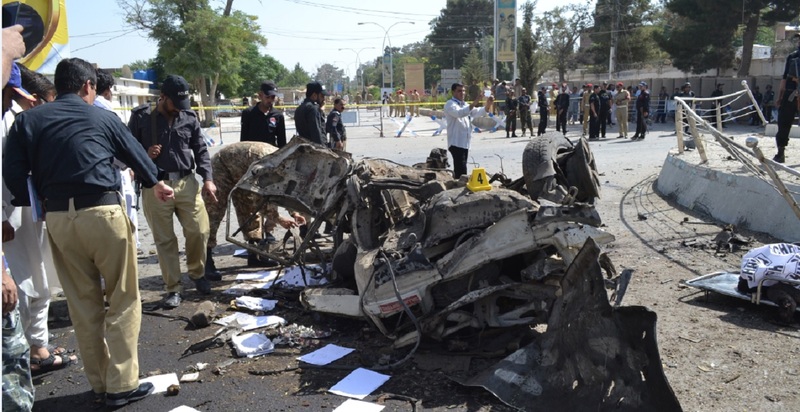 Zabihullah Shuja, spokesman for the provincial police chief, said four other people were wounded in Sunday's blast in Puli Khomri, the capital of the province. In the northern Balkh province, a district police chief died of his wounds after being shot Saturday during a gunbattle with insurgents, according to Sher Jan Durrani, spokesman for the provincial police chief. He said around a dozen insurgents were also killed in the battle, which is still underway.